“I work with the persons consciousness and their energy field, there is only physical contact with the client when necessary”. Healing techniques, of which there are many different disciplines, are an effective natural aid to self-healing. By removing negativity, giving light healing energy to the client and balancing the energy centres, unhealthy negative energy can be lifted and dispersed by the Energy Healer, helping the energy centres to return to a more balanced functioning. Energy Healing is a holistic approach to facilitating the return to good health. It involves tracing the cause of any suffering through the physical, emotional, psychological or spiritual symptoms to its roots deep within our psyche. Energy healing involves shifting from the perspective of the ego to the awareness of the true self. Energy healing is beyond words since words are primarily the egos tools for differentiation and judgements. The energy healer’s total awareness without one shred of doubt, of the client’s true perfection and the energy healers oneness with the client and God/Source, held for just an instant, is all that is needed to evoke a sudden healing. Only the mind needs healing, if an Angel were to swoop in and heal the client’s illness without a corresponding change in the persons belief system, the illness or another version of it would soon return. The awareness of oneness is the instrument of energy healing and helping the client obtain this if only for a short while, can heal any illness. Our natural flow of energy always moves towards perfect health and well-being. However, when faced with difficulties in our life which we find too painful to accept, we tend to hold these unresolved negative energies in our Aura (Energy System). This creates blockages in our energy field which then depletes our vitality and can lead to ill health and suffering. With the assistance and the skills of the energy healer, you can be guided into bringing these blockages to light and releasing them. This enables healing on all levels including physical health, emotional well-being, relationships and spiritual realisation. The energy healer may also guide the client through a process of inner inquiry as to the cause of their condition. This takes the healing deeper and encourages the client to create their own good health and well-being. By being helped to release the disruptive energies the person can let go of past negative issues and return to a more happy, balanced existence. Where there is physical pain or disease, possibly caused by stored negative energy, the lifting of the negative energy can remove the discomfort and help to assist the person in healing themselves from within. “It is only with the heart that one can see rightly, what is essential is invisible to the eye”. Pain or disease in many cases is the bodies way of showing you that there is a problem that needs to be looked at, (i.e.) the issue that created the negative energy that is probably causing the discomfort. With support from the energy healer and the opportunity to talk about the issues concerned, hopefully, the client can obtain a state of good health, free of pain in Mind, Body and Spirit. Energy healing works on the whole being, helping reduce the effects of illness, soothing aches and pains clearing the energy fields, assisting the client to remove ego issues and therefore help them in finding their true self and eventually freedom from ego-based issues, imbalances and illnesses. The picture on the left is an example of seven of the major energy centres or chakras. Each of the energy centres vibrate and rotate at different rates, on different frequency bands. The energy wave patterns for each energy centre correlate with different colours. As you can see the typical Base energy centre is red and the Sacral orange, the Solar Plexus chakra is yellow and the Heart centre is green. The Throat centre is light blue, the Forehead / Brow chakra is dark blue / indigo and the Crown chakra can be purple, white, magenta, gold and so on depending on the spiritual aspect of the person. Each energy centre effects a certain part of the body, its organs and nervous system within that area. When an energy centre is not functioning properly ill health can result in the part of the body concerned. Negative energy is heavier and when stored in an energy centre, it slows the vibrational frequency down and unbalances the system which can cause ill health if not treated. If our chakras are working well, energy flows through us smoothly, we feel healthy and balanced. If they become blocked or clogged, we feel lethargic or out of sorts. Pain, depression, tiredness, fear, other issues and ailments may be indications that our chakras need to be cleared and balanced. You can retune your bodies vibrational energy using either music, scent, colour, or crystal therapy administered by a trained practitioner or by seeking help from a qualified master energy healer, like myself. 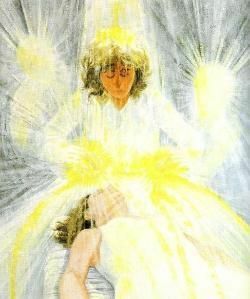 This illustration shows hands of light, an example of what the energy fields look like around the energy healer and patient while the healing is taking place. The energy healer is balanced, centred, grounded and connected to the energy field more powerfully and able to channel light healing energy to the client, helping the person to resonate their energy centres in a more beneficial way. The energy healer can disperse negative energy and supply light positive energy according to the person’s needs. This is an illustration of what a patient’s aura looks like after energy healing. Note the healthy colours of the energy centres. Also shown is the protective bubble-like energy field generated by the individual while in a healthy state of being. People with a healthy aura are less likely to be affected by the negativity that is present in our day to day living conditions. Releasing old negative energies that have been trapped in your system will help you acquire a healthy aura. Keeping one’s energy field in a healthy condition by releasing negative energies as they are created or taken on board, will continue to maintain a healthy Mind, Body and Spirit. When we receive healing energies we may see them as colours coming into our awareness. The different colours and shades indicate which part of our energy system or what issues we are receiving help with. Here is an indication of the positive aspects of these frequencies. Goldie-Green: 5th dimensional, direct heart centre healing from one’s higher wisdom. Golden-Orange: 5th dimensional joy, pleasure in life, creativity. Gold: 5th dimensional hope, inspiration, zeal, excitement, understanding, service to others. Silver: 5th dimensional the feminine, intuition, compassion, mystery, magic. Light Violet: 5th dimensional magical, miracles, sixth sense, divine connections, empathy, faith. Violet-Blue: 5th dimensional peace, quiet, rest, meditation. Magenta: magic, universal love, harmony, emotional balance, spirituality, intuition, psychic ability, change & transformation, free spirit, compassion, self-respect. White: peaceful, loving, balancing, spiritual, positive, awakening, harmony. Peach: 5th dimensional courage, charm, longevity. Luminous Bright Pink: 5th dimensional unconditional love, tenderness, love for oneself. Blue: inner peace, tranquillity, harmony, intuition. Indigo: intuition, sensitivity, loyalty, visualisation. Aquamarine: 5th dimensional freedom, compassion, affection, gentleness, good health, balance, humanitarianism, empathy, counsellor / healer / teacher qualities. Turquoise: healer / therapist qualities, sensitive, transformational, clarity of thought. Lavender: imagination, visionary abilities, spiritual, magical. Green: rebirth, growth, renewal, vitality, restoration, nurturing, compassion. Emerald Green: 5th dimensional heart centre healing. Yellow: joy, happiness, excitement, fun. Orange: creativity, energy, enthusiasm, confidence, motivation. Red-Orange: expression, creative ideas, inspiration, confidence, dynamic, passion. Red: grounding, enthusiasm, action packed, power, will. Grey: Balancing of the masculine and feminine energies, soothing, calming. Brown: material success, concentration, study, protection, strength, confidence. Black: grounding, unconscious mind, mystery, deep meditation, protection, comfort, strength. Recently, with an outpouring of celestial Love, new 5th dimensional healing rays of colour and energy have been made available to this planet. Streams of cosmic light and sound from the galactic centre have poured onto planet Earth. The violet flame, various shades of purple, white, silver and variations of golden rays will be predominant bringing benefits as discussed above but also the turquoise, aquamarine, indigo-violet, luminous pink, lavender, emerald green, magenta, peach, peach-orange and so on … have also energised the template of planet earth and are now being experienced by those receiving help through my energy work sessions. For the first time, a deep Blue-Black colour is being released into our colour spectrum from the galactic centre. This will eventually modulate into an even higher frequency of Silver-Black colour as it settles into the new Earth frequency spectrum. This Blue-Black/Silver-Black colour has not been seen on planet Earth for thousands of years. It represents a very deep cosmic connection with the galactic centre, the place of cosmic birth and regeneration, God/Source. These new colours are the regenerative energy of God/Source, returning to planet Earth at this time. It is the energy that we will use to build the new Earth of love, peace and harmony. The Blue-Silver-Black energies will deepen our intuition and our abilities to connect with each other from the heart. Already some of us are feeling the arrival of this energy. Its touch will heal our hearts as the touch of a loving mother heals her children. These new healing energy rays are now regularly being channelled during my energy healing sessions giving great benefit to the clients. The Violet Flame is one of the most powerful healing vibrational frequencies available on Earth at this moment in time. It enters our field of vision as ultra violet and violet and is sometimes described by those receiving it as purple. This loving frequency opens our crown chakra and connects us with the divine through our 8th chakra. This loving energy transmutes negativity, purifies our whole Being by removing energy blockages and helps us to wake up to the truth of our divine Being. The 8th chakra is the first spiritual chakra and its function is one of divine love, spiritual compassion and selflessness. Our Karmic residue is held here also, the patterns of energy that have been held on to for lifetimes. The Violet Flame changes vibrations, vibration is the speed of oscillation, the speed at which something moves back and forth, the speed at which electrons orbit around the nucleus of an atom. The Violet Flame changes vibration at the atomic level, atoms are mostly empty space and the empty space between the nucleus and the electrons is where negative energy, Karma become stuck. When the atoms in our Being become clogged with negativity and we carry less light, our vibration is lower, as we resonate more with negativity having less light within us, our lower vibration takes us into a less spiritual / loving way of Being. The Violet Flame transmutes negativity freeing up our energy vibration transforming lower vibrational energies into light. As the denser energies within the atoms are dissolved the electrons move faster and faster increasing their vibration. The higher vibrations bring more spiritual energy into our Being, complementary therapists know that optimum health is acquired when our spiritual energy / life force energy, flows freely through our body. The Violet Flame re-establishes harmony within our Being lifting us to a higher state of Being. It also opens pathways to Source, our higher-self, our spiritual home and our guides. It works on our Pineal Gland helping us to connect with the divine, opening the crown and third eye chakras, opening the door to the higher realms. St Germain is the keeper of the Violet Flame and we can ask St Germain to help us bring in the beautiful, loving Violet Flame energies to surround us, to cleanse and purify us, we can also invoke the Violet Flame for others when helping them. We all have an energy field which consists of four dimensions, Physical, Aura, Intention and Essence. Chronic disturbances on the mental and emotional levels create holding patterns in the body which lead to tension, ill health and disease. The roots of these are found in the cellular memory which can be accessed and cleared with energy healing. 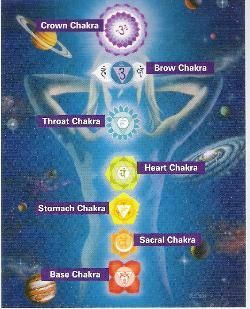 There are seven levels and various chakras (energy centres) that make up the Aura as illustrated in the diagram below. This is the dimension of our personality or ego and contains both the healthy and distorted patterns that we have acquired throughout life currently and in past lives. A diseased condition exists here prior to manifesting in our physical bodies. This is the dimension where the majority of our energy healing is needed. Our life purpose is held in this dimension. When we align our intention to truth, life flows with ease and grace. The state of pure, original Being. The impulses of essence expressing in life are often partially distorted or veiled by our ego self. As we go through the journey of healing, our essence is revealed more fully in daily life. Seventh Level – Causal, divine wisdom. Healing is remembering the perfection in all of life. Sixth Level – Celestial, divine love, Angelic Realm. Healing is unconditional Love for all of creation. Fifth Level – Template, divine will and structure. Healing is gaining a sense of truth and purpose. Fourth Level – Astral, the record of all past experiences, including relationships, childhood and past lives. Energy healing is unconditional love for others. Third Level – Mental, logical mind. Healing is creating positive thought forms. Second Level – Emotional, feelings about ourselves. Healing is having unconditional love for the self. 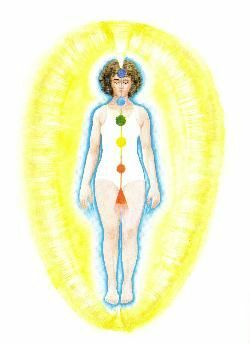 First Level – Etheric, the matrix upon which the body tissue is formed. Healing is becoming fit and strong. There are three stages of a typical healing session. An initial period of discussion and evaluation to clarify the various issues to be addressed. The energy healer can also use extra sensory perception to aid the client in the process of discovering the original cause of their condition. This involves energy healing using a variety of techniques. This can include phases of passively receiving energy work and possibly some cathartic emotional release. This is normally conducted with the client lying down, fully clothed on a therapy table. The session is completed with grounding and infusing positive energy so that the healing can be integrated into life. 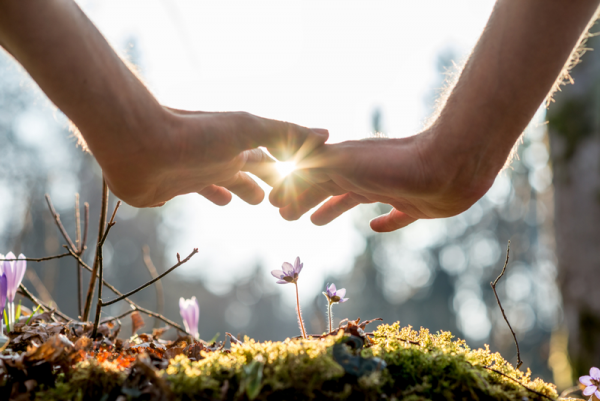 The energy healer may also share any feedback received during the energy healing and will be able, if possible, to answer questions that the client might have regarding the session. Energy healing is a holistic therapy which treats the person rather than the symptoms this means that it can be effective in almost any situation. Energy healing has been found to be particularly helpful for the following physical and psychological conditions. Chronic fatigue syndrome / female conditions / migraine – headaches / immune system conditions / back problems / digestive disorders / heart conditions / depression anxiety / lack of confidence / bereavement / life traumas / manifesting abundance / finding your life’s purpose / spiritual connection, fulfilment and much more. Energy healing complements and enhances the positive effects of all other types of health care, including orthodox medicine. When most people think about (healing,) they focus on the notion of someone suffering from an ailment or injury who (gets better.) But what does it mean to (get better)? Better than what? Better than they were at some moment in their past? Better than someone else is? (Getting better) is far too limiting a definition of healing. Thinking in that way divests us of our birth right to be in direct communion with God / Source / Love / the Universe; and therefore, to be empowered self-sustaining self-healing beings. Healing, as we often tend to think of it, may well be about the alleviation of symptoms, diseases, infirmities, emotional pain and other noticeable hindrances to full functioning. Healing is also the restoration of the person to spiritual wholeness. In essence, healing is this: the release or removal of a block or interference that has kept us separate from the perfection of the universe. Yet, healing is about our evolution, and also includes the evolutionary restructuring of our DNA and our reconnection to the universe on a new level. Although clinically, healing remains little understood, the effects are evident. We have seen patients find more relief from healing than strong painkilling opiates. We have also seen them report significant reductions in chemotherapy-related side effects. Patients are often in states of desperation. We have seen them find huge comfort in healing. The first paid Healer on the NHS (Mrs Angie Buxton-King) is employed at the above Hospital. An article about Angie was originally published in the Daily Mail on 29th June 2004, her book (The NHS Healer by Angie Buxton-King) was published by Virgin in July 2004. Since then many hospitals and clinics across the UK have employed the services of alternative / complementary therapists using a number of healing techniques.